California, on November 20, 1952, and received his first revelatory encounter with Orthon, a Venusian space brother. 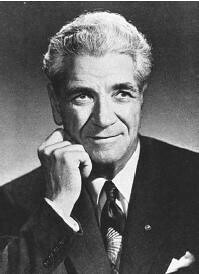 Through telepathic transfer, Adamski learned that the space traveler was benign and greatly concerned with the spiritual growth of humankind. Adamski’s desert encounter with a Venusian and Robert Wise’s motion picture The Day the Earth Stood Still (1951), with its warning that Earth had better clean up its act delivered by an alien messenger, were probably the two most contributive factors in birthing the UFO contactee movement in the United States. After Adamski published Flying Saucers Have Landed (1953), coauthored with Desmond Leslie, he became popular as a lecturer and had little difficulty establishing himself as the best known of all the contactees, who were now springing up around the world. 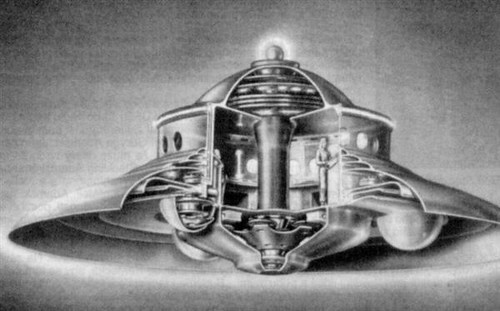 Flying saucer mania was rampant in the early 1950s with a cautious public wanting to know who was piloting the mysterious craft in the sky, where they were from, and what they looked like. Adamski had the answers. Orthon, the Venusian, was smooth-skinned, beardless, with shoulder-length blond hair, stood about five feet six inches tall, and wore what appeared to be some kind of jumpsuitlike apparel. Orthon had come in peace, eager to warn earthlings about radiation from the nuclear tests that were being conducted. There were universal laws and principles established by the Creator of All, and the people of Earth would do well to begin to practice those laws at once. All these messages were transmitted telepathically to Adamski to relay to his fellow earthlings, but later, after he had been taken for a trip into outer space, Adamski was able to communicate verbally with such entities as Firkon, the Martian, and Ramu, from Saturn. Questa puntata è dedicata al contattista Adamski, uno dei casi più discussi e controversi tra i cosiddetti "contattisti". Adasmki è stato oggetto di grandi critiche e sospetti di contraffazione riguardo ai documenti, soprattutto filmati e fotografie, che ha fornito a titolo di prova dei contatti avuti con una razza extraterrestre. Eppure in pochi come lui hanno avuto l’ attenzione da parte di personalità pubbliche, considerato da alcuni addirittura come un nuovo messia rappresenta tuttora un caso aperto. 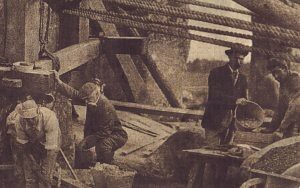 This picture shows workers on the site in 1901 in a restoration which caused outrage at the time but which is rarely referred to in official guidebooks. For it means that Stonehenge, jewel in the crown of Britain’s heritage industry, is not all it seems. Much of what the ancient site’s millions of visitors see in fact dates back less than 50 years. 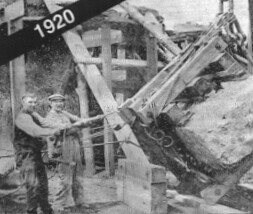 A stone was straightened and set in concrete in 1901, six further stones in 1919 and 1920, three more in 1959 and four in 1964. There was also the excavation of the Altar stone and re-erection of the Trilithon in 1958.